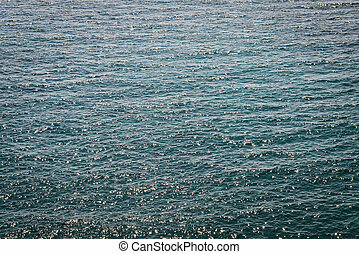 Ocean patterns. 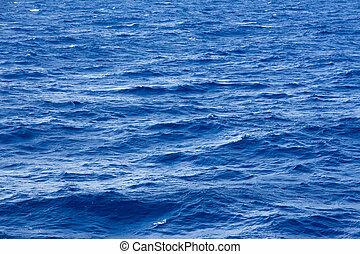 Deep blue ocean patterns. 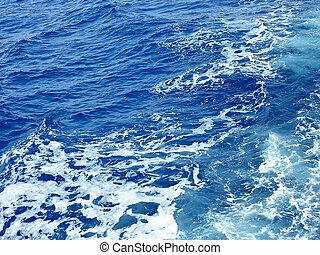 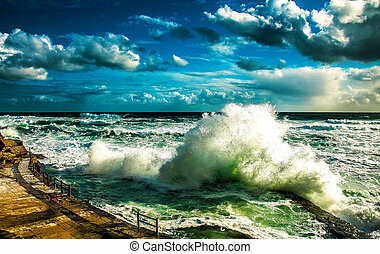 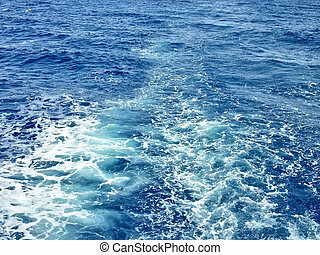 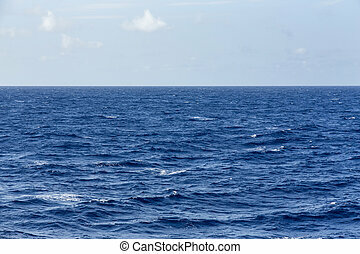 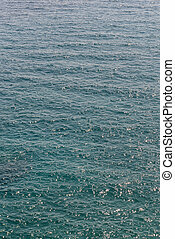 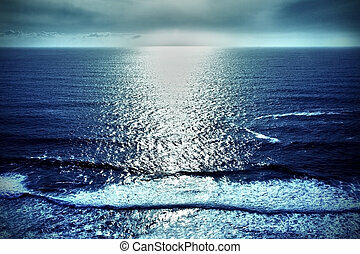 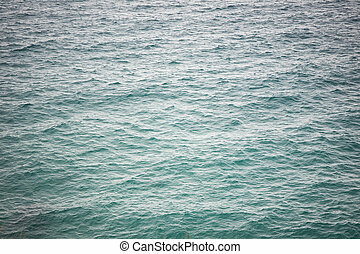 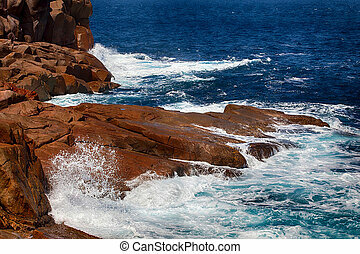 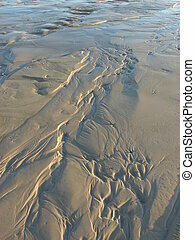 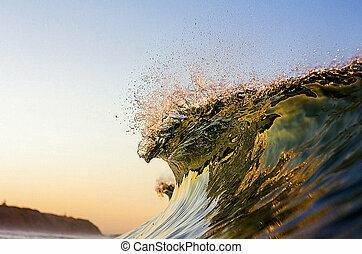 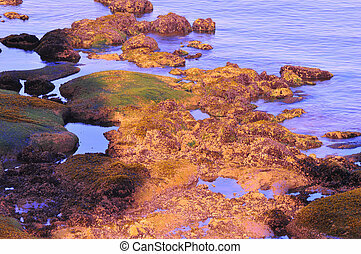 Image of surface of ocean water background. 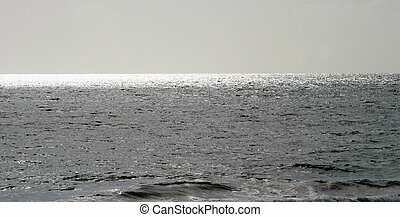 Empty Ocean with some sun reflections in a gray tonal range.